The upcoming episode of Star Plus popular daily soap Ishqbaaz is gearing up for some interesting twist and drama. Shivaay (Nakuul Mehta) had played game with Anika to give pain to her and tags her as mistress while this time Anika is ready to give it back to Shivaay. Anika will mark dhamakedar entry in Oberoi mansion where she will claim that she is Anika's (Surbhi Chandna) wife as Shivaay has filled her hairline. Anika is doing this to just make Shivaay confess that he told lie about her spending night with him which broken her marriage with Nikhil. 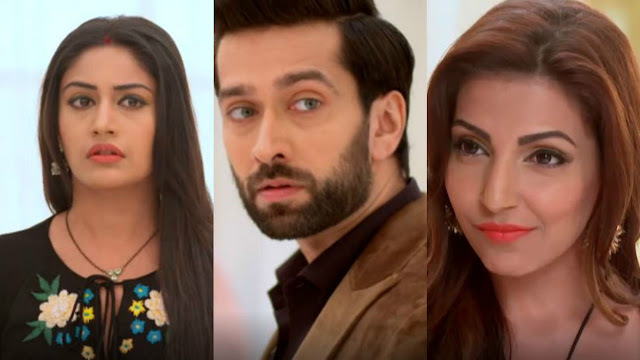 Anika will tell Shivaay (Nakuul Mehta) that it's their suhagraat and comes to his room, Shivaay is shocked and accuses Anika to be characterless.